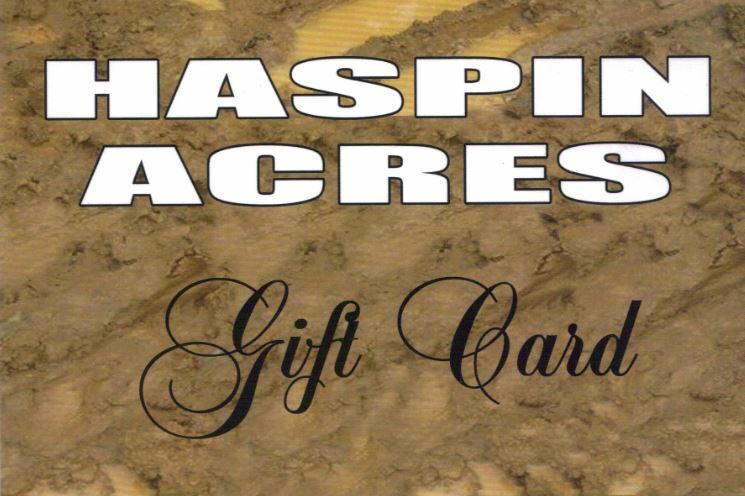 Currently, we are offering only two ways in which to buy a Haspin Acres gift card, in person or online. At present, we are NOT accepting telephone orders for gift cards, so please do not call Haspin Acres, as we will be unable to accommodate your request. Your gift card(s) will be sent to you via US Mail to the address you provide. A credit card receipt for the total amount of your order, including shipping and handling, will be mailed to you along with your gift card(s).